This product is, supposedly, legendary. 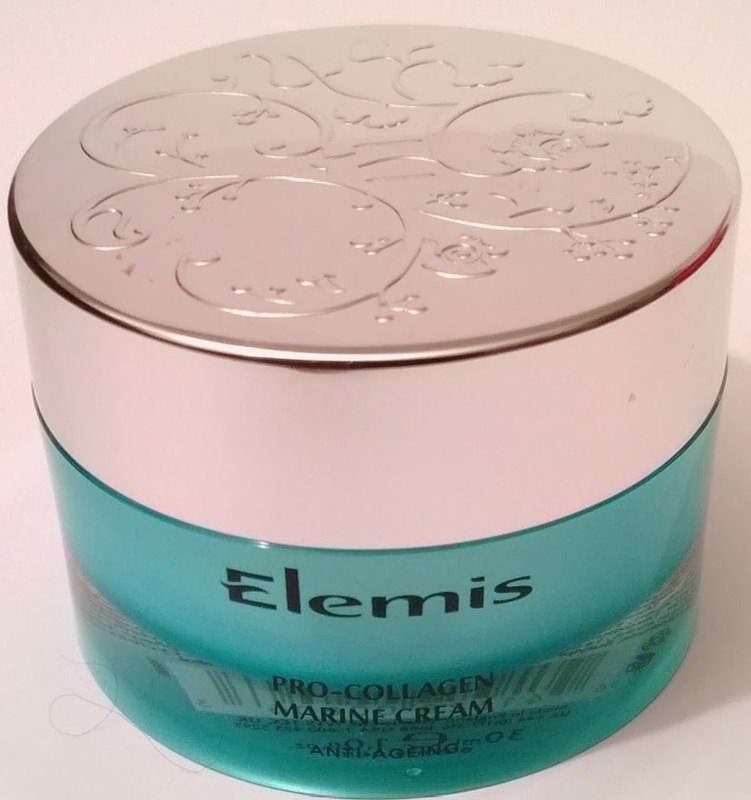 A closer look at its statistics agrees with the overwhelming majority of the (raving) online reviews I've read - this is Elemis' number one selling face cream, with a pot of this being sold every single minute around the planet. That's a hell of a lot of moisturiser! How beautiful is that pot? The detail on the lid is gorgeous and I find the colour of the pot itself very easy on the eye. It's one of those products that you want to keep front and centre on your bathroom shelf, just so you can enjoy looking at. The standard packaging for this product is a boring enough white, but I much prefer this one. The pot I have is a 30ml travel size (Ed: actually it was a GWP, Elemis are particularly great about decent sized GWP bits and bobs when you buy their FS products) but it's also available in 50ml and 100ml sizes. This has a soft, light and emollient gel-cream texture and a little goes a long way (think about a quarter of what I've slapped onto my hand above!) 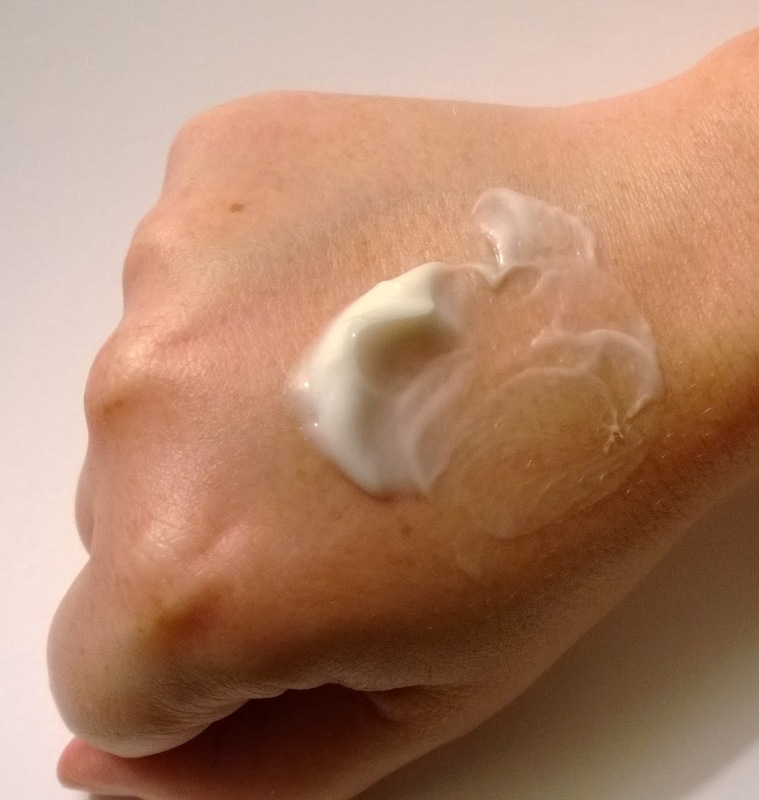 Personally, I prefer a heavier, creamier texture when it comes to moisturisers. If you don't like the feel of thick/heavy moisturisers on your skin, you'll love this one. I have to be honest here, this really didn't do very much for me (I used it twice a day for over a month). Having said that, I genuinely don't think I've got the skin type that would benefit most from this cream (I'll be turning 40 in a few weeks time so age-wise I'm spot on, but skin-type wise, it's a bit too light for my parched skin). If you're in your early 30's onwards, with normal or combination skin, then you might like to give this cream a test drive, as you won't need to use anything too thick or heavy at that age so this product's light texture and fresh feeling on the skin (which would be gorgeous in Summer.....remember that season anyone?) might work in your favour. This is a water-and-oil emulsion with lots of skin goodies; like most Elemis products it features various plant- and flower- based extracts. Also, seed and germ oils and shea butter. So far so good. It also contains silicones, reasonably high up on the list (grrrrr, not a good thing in skincare products), and does also contain parabens (if that's an issue for you) and wheat germ oil (so maybe if you're coeliac you might need to skip this one). 50ml will set you back around €99 and the 100ml version will start at around the €145 mark and go up (depending on where you buy it), so as you can see, it's on the expensive side. However, you get easily get up to six months out the 50ml pot (if not longer). We were doing reasonably well up until now. I'll caveat this - the scent of this product isn't actually the problem. The scent is quite nice. When applied in a tiny amount, upstairs, and you're downstairs at the time. The problem is the strength of the smell - it's ridiculously, gaggingly, over the top, cloyingly, eye-wateringly strong. If you are in any way sensitive to smell, particularly if they can trigger headaches or migraine, steer clear of this product. Even after you apply it, the smell remains, and lingers pretty much all day. I don't understand the logic behind making the smell of this cream so overwhelming! Smells are a personal love/hate thing but this is so strong, it's off-putting in my opinion.